Cut or tear a cross shape from the piece of brown card stock. 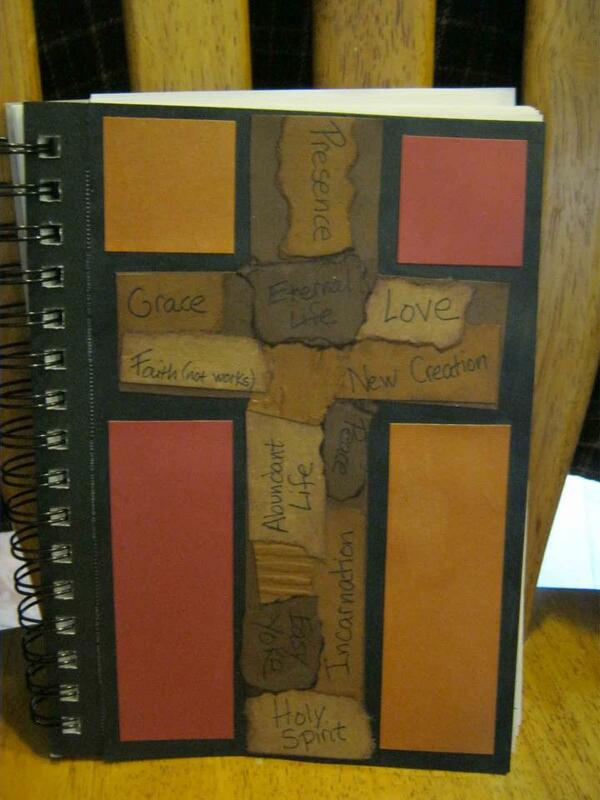 On one side of the cross, write, draw, or collage the burdens that you feel you are carrying. On the other side of the cross, write, draw, or collage the promises of God that will support you as you bear those burdens. As you create, offer your burdens to God; receive God’s promises with joy. What would God say to you today? What new name would God give to you? Hi Joanna! I thoroughly enjoy reading your blog and have used it many times for reference and inspiration when I worship lead. I was wondering if you have any resources for a Maundy Thursday service? I am leading one soon and need some inspiration. Thanks! Thanks for the note. We generally combine Maundy Thursday and Good Friday. (Mennonites are not exactly “high church” 🙂 Here is a link to a Good Friday service that includes some Maundy Thursday elements: https://spaciousfaith.com/2011/04/13/wednesday-worship-piece-good-friday-service/. I hope it does provide some inspiration! And if you’re Mennonite, you also might be able to do foot washing without freaking people out. Hi, thanks for sharing this. This is a great practice while reading my bible.